FAQs Home » Browse FAQs » How do I block a member? 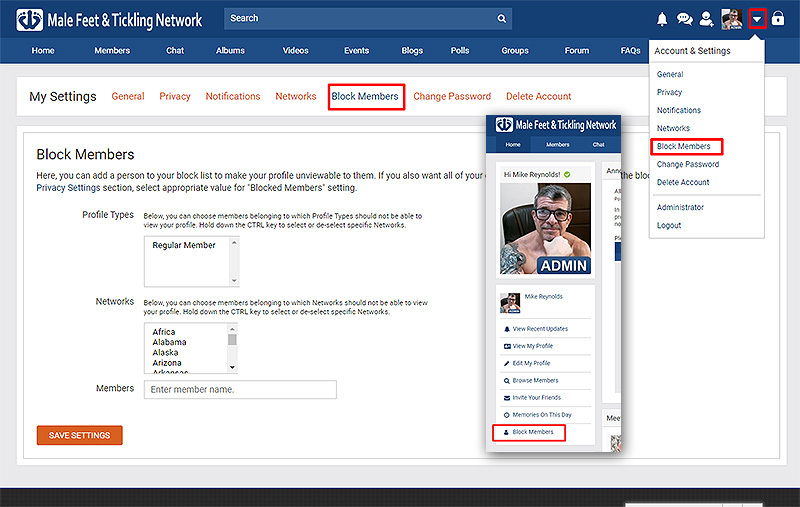 There are two ways you can block a member. You can visit their profile, and hover / tap the little pencil icon next to their name and click "Block Member" from the drop down menu.